PARIS -- The French government said it will back Renault CEO Carlos Ghosn's nominee for chief operating officer but wants an agreement to transform the Renault-Nissan alliance into an "integrated" automotive group. The French state, Renault's biggest shareholder, sees Chief Performance Officer Thierry Bollore's promotion to second-in-command "in a positive light," a finance ministry source said Monday. But support for Ghosn's own contract renewal may hinge on plans for a deeper tie-up with partner Nissan. 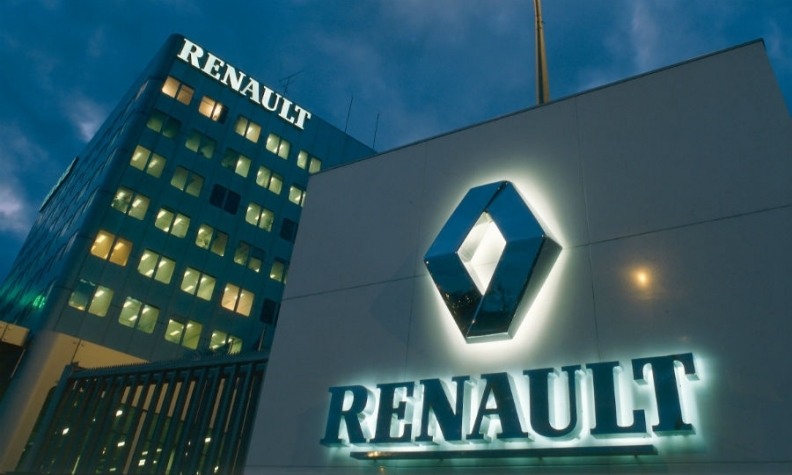 The ministry statement follows the resignations of senior Renault director Thierry Desmarest and Stefan Mueller, the automaker's chief performance officer, days before a Feb. 15 board meeting at which Bollore's appointment is expected to be discussed. The departures came amid concerns raised by other independent board members about the recruitment process that led to the nomination of Bollore, a loyal Ghosn lieutenant, and the elimination of other internal and external candidates including Mueller, Reuters and Les Echos have reported. Ghosn, 63, "appears to have chosen" Bollore, the finance ministry source said. "That is perfectly acceptable to the French state shareholder." However, he added: "If we were to realize later that there was a problem, we would still have time to change our approach." Ghosn's four-year Renault board mandate is up for renewal at the next shareholder meeting in June. Renault and the government have sought to avoid a repeat of a bitter 2015 clash in which France raised its stake to swing a shareholder vote and secure double voting rights. The government had also pushed in vain for a full Renault-Nissan merger on terms that would safeguard French industrial interests - and is now reviving demands that Ghosn develop a "road map" to a combined group for submission to shareholders. Renault currently holds 43.4 percent of Nissan, which in turn controls Mitsubishi Motors via a 34 percent stake. Ghosn chairs all three companies. The French government has a 15 percent stake in Renault. The automakers need to be "better integrated" in order for their alliance to survive his eventual succession, the finance ministry source said on Monday. "We need to prepare the future of the alliance," he said, adding that its current structure remains too "heavily dependent on Carlos Ghosn as a person."